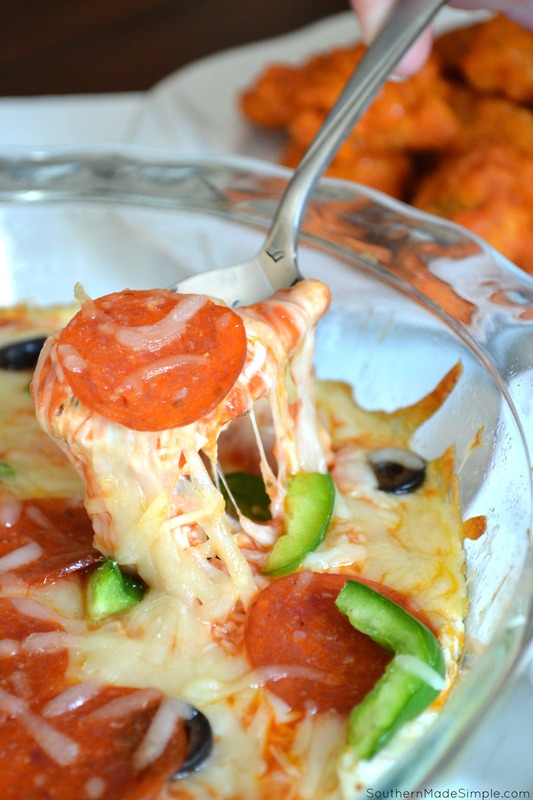 3 Cheese Pizza Dip – Ready in 20! Do you hear those school bells ringing, friends? Class is officially back in session! And while many of you may be celebrating the kiddos getting back in the classroom and getting into a good routine, there are those of you that are facing the challenges of balancing life around all of those after school activities, helping kids with homework and keeping the household afloat during all of it. Through all of the hustle and bustle of the back-to-school season, it can be easy to let time slip away from you and have the meal you eat around the dinner table as a family be a complete afterthought. After all, many nights you may be getting home late and the busyness of the day allows little time for meal planning. But what if I told you that there’s a way that you can get a meal on the table in just 20 minutes that the whole family will go nuts for? Hang on, folks! I’m going to show you how to rock this whole back-to-school dinner business like a boss!